If you heard of Cloudinary before, you probably already know how useful Cloudinary is with managing all your dynamically uploaded images, transforming these to their required dimensions, performing image optimization to ensure files are have the optimal quality and parameters, and delivering them through a fast CDN. But what about all the static images you have in your web application? background images, buttons, icons - they too should be delivered through a CDN, offloading their delivery from your servers and improving your website's performance. You can always do it yourself - setup your cloud environment, upload all these static images to your cloud storage, access them through a CDN and make sure to update these images when they change. Or - you can let Cloudinary do it. Automatically. In this post we wanted to introduce a new Cloudinary feature. This feature simplifies and streamlines the process of uploading your static images to the cloud and delivering them through a CDN. If you haven't done so already - upgrade to our latest Ruby GEM and you will enjoy this new feature with zero code change. This Rake task finds all the images in all common public folders and in Rails Asset Pipeline’s image asset folders. Afterwards, it uploads all new and modified images to Cloudinary. Uploaded images and their versions are maintained using a local .cloudinary.static file. Make sure you commit this file to your source control. That's it. No other code changes required. From now on, every image_tag call in your views would automatically check if the image was uploaded to the cloud (using .cloudinary.static) and if so, would generate a remote Cloudinary CDN URL. Keep in mind that you can activate CDN static image support in your production environment while keeping to local files in your development environment. When you add new static images or change existing ones, all you need to do is re-run ‘rake cloudinary:sync_static’. If your website has many static images, you can optimize your site’s load time further by using multiple CDN subdomains. See this blog post for more details on how to activate this feature. 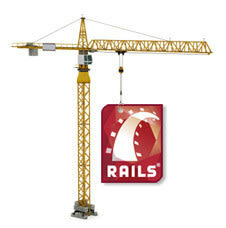 The method described above is a powerful way for uploading all static images embedded in your Rails view to the cloud and delivering them through a CDN with no change to your code. But what about images defined in your CSS or Sass files? So if you already use Asset Pipeline and Sass files, your images will automatically be delivered through a CDN. One of Cloudinary's major strengths is in its powerful image transformations. In most cases, you'll want your static images displayed as-is. But occasionally, applying transformations on your static images can be very useful. For example, displaying a set of icons in multiple dimensions. Another example is when you want to support Responsive Layout and Images. In this case, adjusting the size of all static images according to your visitors' device resolution might greatly improve your visitors' experience (e.g., resize all images to 50% their original size). With Cloudinary you can apply various manipulations on your static images, with ease. Cloudinary offers many more automatic image manipulations including image and text overlays, face-detection based cropping and resizing, image format conversion, and even smart categorization, moderation and tagging of images via our partner add ons. All of these can be accessed via the Rails SDK. Changing the look & feel and dimensions of images in your site based on the user’s device can be done using CSS instead of changing your code. This can be be made even simpler if you are using Sass in your Rails project. Simply use the 'cloudinary-url' template method. It will convert image references to remote Cloudinary CDN URLs and can also receive all supported transformation parameters. To summarize - if you are using Cloudinary for managing and transforming your uploaded images, you should definitely follow the simple instructions above to immediately experience the performance boost gained by delivering all your static assets through Cloudinary. Don’t have a Cloudinary account yet? Click here to setup a free account in seconds.